The Janus Henderson Group Board comprises a Non-Executive Chairman, a Non-Executive Deputy Chairman, one Executive Director and eight other Non-Executive Directors. There is a division of responsibility between the Chairman, who is responsible for leading the Board and ensuring its effectiveness, and the Chief Executives who are responsible to the Board for the overall management and performance of the Group. Biographical details of the Directors are set out below. 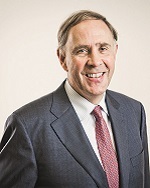 Richard Gillingwater has been a Non-Executive Director and Chairman of Janus Henderson since May 2017. He was a Non-Executive Director of the Henderson Group Board from February 2013 to May 2017, taking the position of Chairman in May 2013. He is currently the Chair of the Nominating and Governance Committee and a member of the Compensation Committee. Mr Gillingwater started his career in investment banking in 1980 at Kleinwort Benson, where he spent ten years. After this he moved to BZW and, in due course, became joint Head of Corporate Finance. BZW was taken over by Credit Suisse First Boston and he ultimately became Chairman of European Investment Banking at Credit Suisse First Boston. In 2003, he was asked by the UK Government to found and become the Chief Executive and later, Chairman of the Shareholder Executive. In 2007, he became Dean of Cass Business School which role he held until 2012. In his Non-Executive career, Mr Gillingwater has been Chairman of CDC Group plc and has also been a Non-Executive Director of P&O, Debenhams, Tomkins, Qinetiq Group, Kidde, Hiscox Ltd, Helical plc and Wm Morrison Supermarkets plc. Mr Gillingwater is Chairman of SSE plc and Senior Independent Director of Whitbread plc. Mr Gillingwater holds an MA in Law, St Edmund Hall, Oxford University and a MBA from the International Institute for Management Development (IMD) in Lausanne. Mr Gillingwater is a qualified solicitor. Glenn Schafer has been a Non-Executive Director and Deputy Chairman of Janus Henderson since May 2017. He was a Director of Janus Capital Group from December 2007 to May 2017, taking the position of Chairman in April 2012. He is a member of the Compensation Committee and the Nominating and Governance Committee. Mr Schafer serves as a Director of GeoOptics LLC, a weather satellite manufacturer. Mr Schafer served as a Director of the Michigan State University Foundation from 2004 to 2014. He was Vice Chairman of Pacific Life Insurance Company (Pacific Life) from April 2005 until his retirement in December 2005; a member of Pacific Life’s Board of Directors and President of Pacific Life from 1995 to 2005; and Executive Vice President and Chief Financial Officer of Pacific Life from 1991 to 1995. From 2006 to 2007, he served on the Board of Directors for Scottish Re Group. 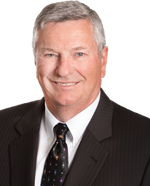 Between 2006 and 2017 Mr Schafer was a Director of Genesis Healthcare, Inc., the successor company resulting from the merger with Skilled Healthcare Group, Inc. of which Mr Schafer was a director. Mr Schafer also served as a Director of Mercury General Corporation, an insurance holding company, between 2015 up until his resignation in February 2018. Mr Schafer has a BS from Michigan State University and an MBA from the University of Detroit. 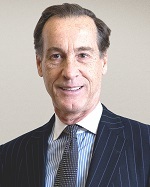 Richard Weil is Chief Executive Officer of Janus Henderson Investors and also serves as a member of the board of directors. In this role, Mr. Weil is responsible for the strategic direction and overall day-to-day management of the firm. He also leads the firm’s Executive Committee. Prior to this, Mr. Weil was chief executive officer of Janus, a position he had held since joining the firm in 2010. Before his tenure with Janus, Mr. Weil spent 15 years with PIMCO, where most recently he served as the global head of PIMCO Advisory and as a member both of PIMCO’s executive committee and the board of trustees of the PIMCO Funds. Previous to his appointment at PIMCO Advisory, he was chief operating officer of PIMCO, a position he held for 10 years, during which time he successfully led the development of PIMCO’s global business and founded their German operations. 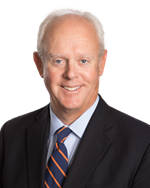 Earlier, Mr. Weil served as PIMCO Advisors L.P.’s general counsel. Prior to joining PIMCO in 1996, Mr. Weil was with Bankers Trust Global Asset Management and Simpson Thacher & Bartlett LLP in New York. Mr. Weil earned his bachelor of arts degree in economics from Duke University and his juris doctorate from the University of Chicago Law School. He has 24 years of financial industry experience. Kalpana Desai has been a Non-Executive Director of Janus Henderson since May 2017. Ms Desai was a Non-Executive Director of Henderson Group from October 2015 to May 2017 and is currently a member of the Audit Committee, Nominating and Governance Committee and Risk Committee. Ms Desai has over 30 years of international advisory and investment banking experience, primarily gained in the Asia-Pacific region. 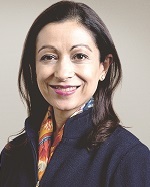 Until 2013, Ms Desai was Head of Macquarie Capital Asia, the investment banking division of Macquarie Group Limited, headquartered in Australia. Prior to this, she was Head of the Asia-Pacific Mergers & Acquisitions Group and a Managing Director from 2001 in the investment banking division of Bank of America Merrill Lynch based in Hong Kong. Earlier, Ms Desai worked in the corporate finance divisions of Barclays de Zoete Wedd in London and Hong Kong and at J. Henry Schroder Wagg in London, having started her career in the financial services division of Coopers & Lybrand Consulting in London. She was a member of the Takeovers and Mergers Panel of the Securities and Futures Commission in Hong Kong from 2007 to 2014. She is currently a Non-Executive Director of Canaccord Genuity Group Inc., headquartered in Canada. Ms Desai has a BSc in Economics from the London School of Economics and Political Science and qualified as a Chartered Accountant with PricewaterhouseCoopers in London in 1991. Jeffrey Diermeier has been a Non-Executive Director of Janus Henderson since May 2017. Mr Diermeier was an Independent Director of Janus Capital Group from March 2008 to May 2017 and is currently the Chair of the Board Audit Committee and member of the Nominating and Governance Committee and the Risk Committee. Mr Diermeier is a Director of the University of Wisconsin Foundation, a non-profit fundraising and endowment management organisation, and former Chairman of its Investment Committee. 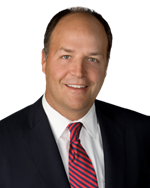 In January 2011, Mr Diermeier became a Director of Adams Street Partners, a private equity firm located in Chicago. Between 2010 and 2017 he was a co-owner and Chairman of L.B. White Company, a heating equipment manufacturer. He is also a minority owner of Stairway Partners, LLC, a registered investment adviser located in Chicago, and was an advisory board member from 2005 to December 2012. He was a Trustee of the Board of the Financial Accounting Foundation, which oversees the Financial Accounting Standards Board and the Government Accounting Standards Board, from January 2009 to December 2015 and Chairman of the Trustees from November 2012 to December 2015. From 2005 until January 2009, he served as President and Chief Executive Officer of the CFA Institute, a non-profit educational organization for investment professionals in Charlottesville, Virginia, and previously in a number of capacities in the global asset management division of UBS and predecessor organisations, primarily Brinson Partners, Inc., beginning as an Equity Analyst and culminating as its Global Chief Investment Officer from 2000 to 2004. Mr Diermeier holds the Chartered Financial Analyst designation. Mr Diermeier has a BBA in Finance and Investments from the University of Wisconsin – Madison and an MBA in Finance and Investments from the University of Wisconsin – Madison. Kevin Dolan has been a Non-Executive Director of Janus Henderson since May 2017. Mr Dolan was a Non-Executive Director of Henderson Group from September 2011 to May 2017 and is currently a member of the Audit Committee, Nominating and Governance Committee and Risk Committee. Mr Dolan has been in the financial services industry for 36 years and has extensive experience in M&A transactions, both in Europe and the US. Mr Dolan has held various executive positions, including as Chief Executive of the Asset Management Division of Bank of Ireland Group and Chief Executive of Edmond de Rothschild Asset Management. He spent ten years with the AXA Group where he was Chief Executive Officer of AXA Investment Managers Paris, and Global Deputy Chief Executive Officer of AXA Investment Management. He was Chief Executive of La Fayette Investment Management in London from 2006 to 2009. Mr Dolan was a Director of Meeschaert Gestion Privée in Paris until 2015, is the founding partner of Anafin LLC, and a senior advisor to One Peak Partners. Mr Dolan has a BS in Business Administration from Georgetown University. 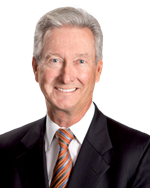 Eugene Flood Jr. has been a Non-Executive Director of Janus Henderson since May 2017. Mr Flood was a Non-Executive Director of Janus Capital Group from January 2014 to May 2017 and is currently the Chair of the Board Risk Committee and a member of the Audit Committee and Nominating and Governance Committee. Currently, Mr Flood also serves as Chairman of the advisory board for the Institute for Global Health and Infectious Diseases at the University of North Carolina Chapel Hill; is a Trustee of the Financial Accounting Foundation; and, has been a Director of the Research Corporation for Science Advancement since 2015. Previously, Mr Flood served as a Director of The Foundation for the Carolinas from 2012 to 2015. 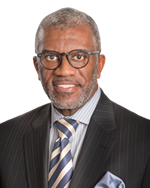 He was Executive Vice President of TIAA-CREF from 2011 until his retirement in 2012, serving on the CREF Board of Trustees and the TIAA-CREF Mutual Fund Board of Trustees for seven years, and chairing the Investment Committee. Prior to joining TIAA-CREF as an executive in 2011, Mr Flood spent 12 years with Smith Breeden Associates, a North Carolina-based fixed income asset manager, as President and Chief Executive Officer. Mr Flood also served with Morgan Stanley in a range of trading and investment positions from 1987 to 1999 and was an Assistant Professor of Finance at Stanford Business School from 1982 to 1987. Mr Flood earned a Bachelor of Arts degree in economics from Harvard University and a PhD in economics from the Massachusetts Institute of Technology. Lawrence Kochard has been a Non-Executive Director of Janus Henderson since May 2017. Mr Kochard was an Independent Director of Janus Capital Group from March 2008 to May 2017 and is currently the Chair of the Compensation Committee and a member of the Nominating and Governance Committee. Mr Kochard is Chief Investment Officer at Makena Capital Management. Until January 2018, he was the Chief Executive Officer and Chief Investment Officer of the University of Virginia Investment Management Company. Mr Kochard has served as a Director of the Virginia Commonwealth University Investment Management Company since 2015, as a Director and the Chair of the Investment Committee for the Virginia Environmental Endowment since 2013 and a Member of the Investment Advisory Committee of the Virginia Retirement System since March 2011, serving as Chair since 2017. He previously served as the Chairman of the College of William & Mary Investment Committee from 2005 to October 2011. From 2004 to 2010, he was the Chief Investment Officer for Georgetown University, and from 2001 to 2004 was Managing Director of Equity and Hedge Fund Investments for the Virginia Retirement System. Mr Kochard worked as an Assistant Professor of Finance at the McIntire School of Commerce at the University of Virginia from 1999 to 2001. He started his career in financial analysis and planning, corporate finance and capital markets for E.I. DuPont de Nemours and Company, Fannie Mae and The Goldman Sachs Group, Inc. Mr Kochard holds the Chartered Financial Analyst designation and a Ph.D. in economics from the University of Virginia. Angela Seymour-Jackson has been a Non-Executive Director of Janus Henderson since May 2017. Ms Seymour-Jackson was a Non-Executive Director of Henderson Group from January 2014 to May 2017 and is currently a member of the Compensation Committee and the Nominating and Governance Committee. She also chairs Henderson Global Holdings Asset Management Limited (a holding company of the legacy-Henderson Group). Ms Seymour-Jackson has over 25 years’ experience in retail financial services. She has held various senior marketing and distribution roles in Norwich Union Insurance, General Accident Insurance, CGU plc and Aviva. She was Chief Executive Officer of RAC Motoring Services Limited from 2010 until 2012. She joined Aegon UK in May 2012 and was appointed Managing Director of the Workplace Solutions Division in December 2012. Ms Seymour-Jackson was a Senior Advisor to Lloyds Banking Group (insurance) until October 2017. She is a Non-Executive Director of Rentokil Initial plc and Page Group plc, and is also Deputy Chair and Senior Independent Director at Gocompare.com Group plc. 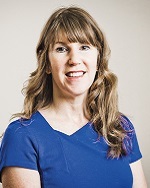 Ms Seymour-Jackson has a BA (Hons) in French and European Studies from the University of East Anglia, a diploma from the Chartered Institute of Marketing and an MSc in Marketing. Tatsusaburo Yamamoto has been a Non-Executive Director of Janus Henderson since May 2017. 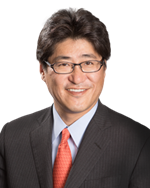 Mr Yamamoto was an Independent Director of Janus Capital Group from July 2015 to May 2017 and is currently a member of the Nominating and Governance Committee. Mr Yamamoto is currently Managing Executive Officer, Corporate Planning Unit, of The Dai-ichi Life Holdings, Inc. (Dai-ichi Life) and has worked in many different capacities for Dai-ichi Life over his 30-year career with the firm. Prior to his current role, Mr Yamamoto served as Executive Officer at Asset Management Business Unit of Dai-ichi Life and Investment Planning Department of Dai-ichi Life Insurance Company, Limited. Mr Yamamoto was appointed to the Board of Directors of Janus Henderson after being designated by Dai-ichi Life as its representative pursuant to the Amended and Restated Investment and Strategic Co-operation Agreement (the “Agreement”) between Dai-ichi Life, Henderson Group and Janus Capital Group dated 3 October 2016. In connection with the Agreement, Mr Yamamoto works with Janus Henderson’s senior management to further the goals of the strategic alliance between the two firms and to enhance product distribution opportunities. Mr Yamamoto has a Bachelor of Arts in Economics from WASEDA University.